Mr. Valentine was busy this last weekend at the Tucson Festival of Books, a mammoth event that combines a writer’s conference complete with workshops, a multitude of readers-meet-author events, and general festivities for all the family. 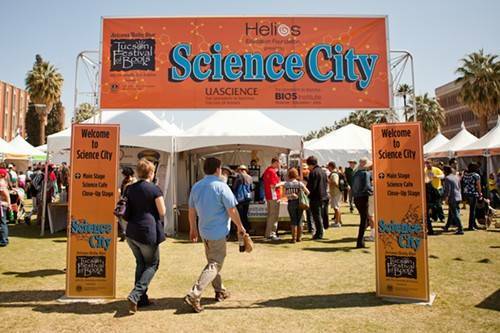 Last year, over 100,000 people attended the festival—more than 10% of Tucson’s population! Who says people don’t read these days? I’m exhausted after traipsing around all day in the hot sun, so this may be a short post—and if it ends with a bunch of gobbbledegook, that’s my forehead hitting the keyboard. 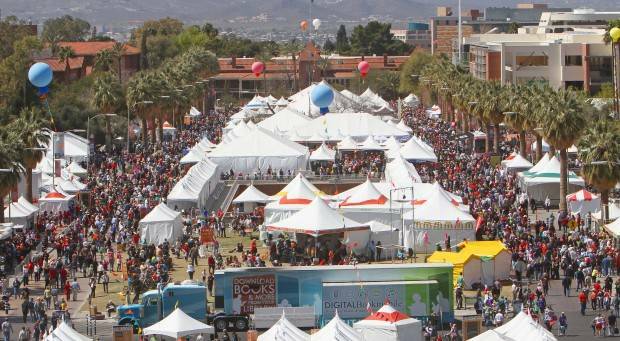 All in all, TFOB (as it’s known to people who get tired of mouthing that whole thing, is a great family event. What are some of your favorite book-related gatherings? I had lunch on Sunday with David Brin, a science-fiction legend, so this was one of my favorites. That lunch is worthy of a separate post, however, which I’ll get to in the next couple of days … hopefully before Wednesday, when I jet off to Toronto to visit family.